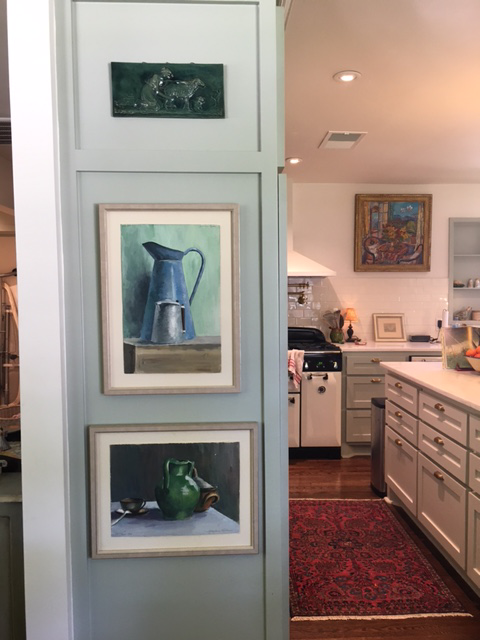 Framing Gallery: What we have been framing for you! 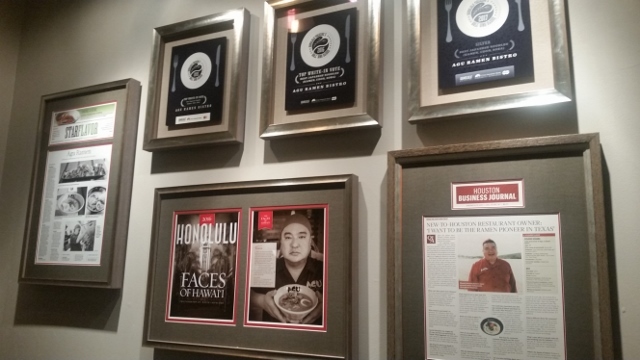 The owner of AGU Ramen, Hisashi Uehara, had multiple awards and articles framed to display at his restaurant locations. 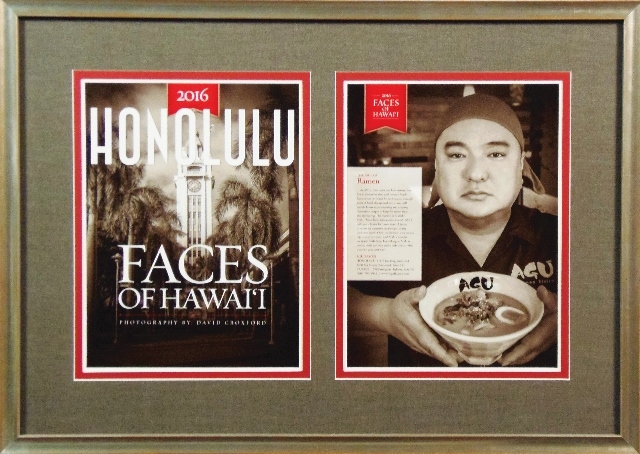 This design is versatile and contemporary, giving guests a glimpse into his career’s success…from Honolulu to Houston, we cannot wait to see what he does next. 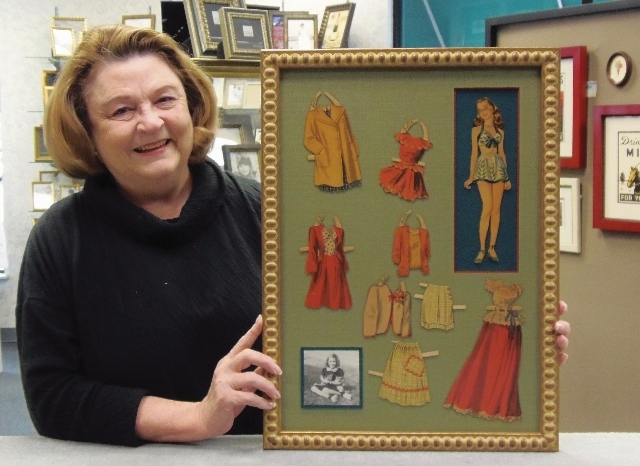 This paper doll set belonged to Denise Jones’ mother who used to play with them as a child. 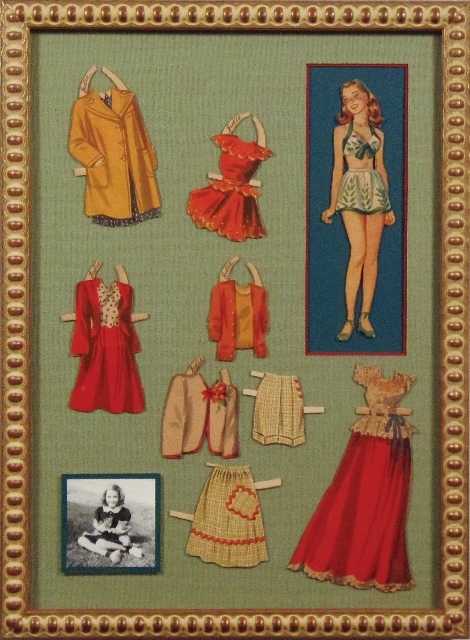 Each paper item of clothing was individually mounted and floated over the mat and displayed next to the paper doll. We included a photograph of her mother seated with arms full of kittens! 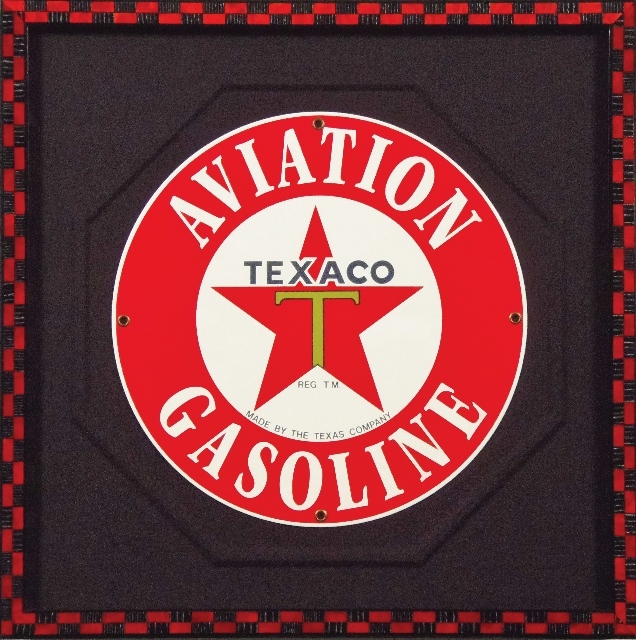 Charles Perdue is a collector of Texaco memorabilia and has brought us a range of items to frame from signs and a coin bank, to a thermometer (above right). Mr. Perdue is the second generation to have worked in the oil industry and he personally worked for Texaco for over 22 years. 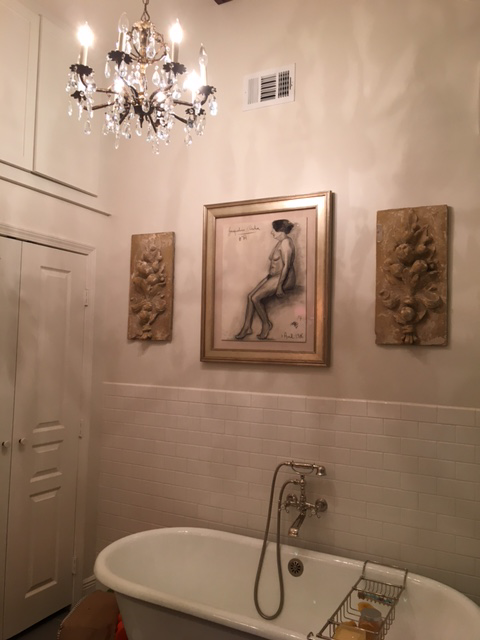 Jill Satterwhite has a passion for finding vintage pieces including art for her walls. The two originals (left) and the figure drawing (right) were purchased in Lacoste, France at an antique fair from an artists’ estate. 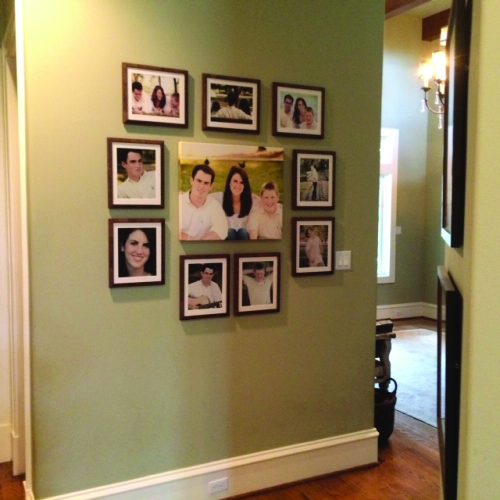 Kelly Miller wanted to create a framed photo wall grouping of her children to enjoy in her family’s home. 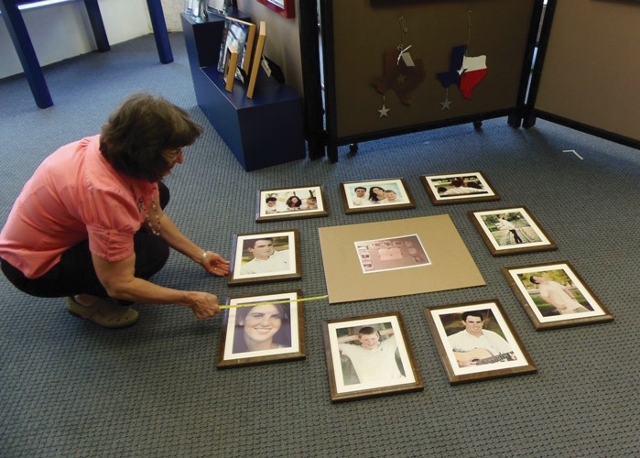 The focus is on the center group photo with surrounding pieces that capture their individual personalities. This entry was posted in Custom Framing Designs and tagged Collections, Custom Framing, Memorabilia, Restaurant, Vintage, Wall Grouping. Bookmark the permalink.